Has it ever happened that you read a recipe and which you liked and then it called for a spice mix or masala powder which you did not know where to get from. Recipes call for mixes like Cajun spice, Greek Spice, Italian spice, Indian Curry masala, Garam masala, Taco seasoning did they ever have you stumped? Sure they are available as ready mixes and you can always store pre-made mixes from companies like McCormick or Everest or MDH. 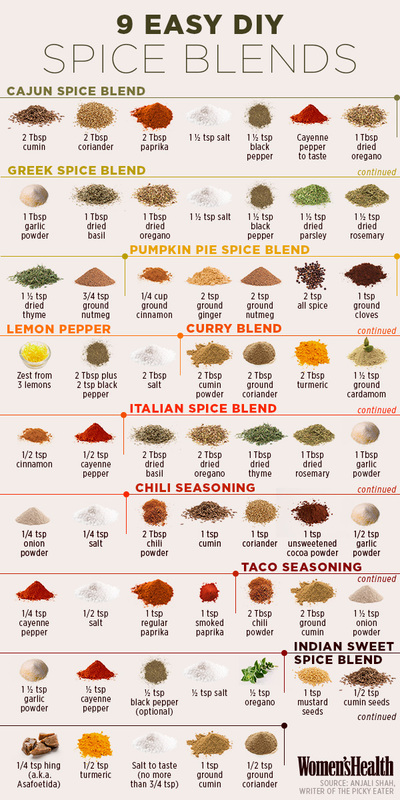 But the secret to knowing how to make spice mix is something that you will treasure for ever. More over, When you are making them yourself, you know they are free of additives or preservatives and in the long run, they will be much cheaper. Most of the herbs and raw ingredients in these commonly used blends are probably already in your pantry. Trust me, cooking will be a pleasure if you can just extend your hand and reach out for the spice mix the recipe asks for.